I spent the first part of January working on a presentation for a local hospital. I was invited by a department manager to speak to her team of dedicated caregiving professionals who specialize in pediatrics. The manager is, deservedly, very proud of her team. However, recent satisfaction surveys suggested some families felt the staff wasn’t as sensitive or empathetic as they had hoped. While the manager knows that is not how her team feels, she thought an in-service on empathy might be beneficial. I was humbled to be standing in a room with these people. They support children and families at a terrifying point on life’s journey. Each and every day, they bear witness to, and have a hand in, miraculous recoveries. So much so, that it can actually become routine and their role in these miracles rote. I shared anecdotes from my professional life in healthcare administration and from my personal life, including days as a patient and countless more as patient advocate. My goal was to encourage them to step outside of themselves for a moment and consider how they are perceived by those they are serving. I made the point that perception is something medical professionals constantly have to manage, especially if the stress felt by patients or families leaves them easily open to misinterpretation. I am pretty sure the staff liked my speech. They stopped looking at their phones and reacted in ways I knew they were listening, which was success enough for me. But then the weirdest thing happened…every conversation I had that day had me going back to the same theme. I found myself offering advice, or a cautionary point of view, that encouraged people to not lose sight of the big picture by allowing their responsibilities to become merely rote performance. First, it was a phone call with people who were about to conduct a real estate closing with a very nervous buyer. Did they remember what is “just another day at the office” for real estate professionals involves the single largest financial transaction most individuals will make in their lifetime? Ok, but, she hasn’t lost sight of the fact that each case in her daily pipeline centers around a person and family whose entire future hangs in the balance, right? Third, it was a mass I attended said by I priest I’ve never met before. To say he was efficient was an understatement. He zoomed through mass so quickly that it was hard to keep up. Catholics believe the Consecration is the most solemn part of the mass where God actually becomes present though the Eucharist. I’m all for brevity, but it seems like something that miraculous should take a little longer than the wait at Starbucks every morning. Wow. It all seemed so clear to me. I had a message to share with people. They must slow down, take stock of their gifts and focus more clearly on those with whom those gifts are shared. The pillar of judgment upon which I stood came toppling down. Ok, it wasn’t a pillar so much as a curb I slipped off, landing on my holier-than-thou derrière as I was running out of my Dad’s nursing home to grab carry-out for dinner with my daughter. I needed this message more than anyone. All the relationships in my life were being diminished to things I check off on a “to do” list. I was losing sight of the beauty held in every moment of opportunity by reducing them to tasks. I realized I need to stop giving advice and start taking it, so I went home and pulled these words right out of my speech and thought about all the relationships in my life. What non-verbal messages do I send when stretched for time, distracted or exasperated from answering the same question for what seems like the jillionth time? How do I perceive myself in this relationship? Because that is going to have the most significant impact on how others perceive me. Am I acting as a tireless advocate? A compassionate teacher? An empathetic companion on an exhausting journey? How do I manage distractions? Being fully present in the moment is critical to strengthening my relationships. Am I an active listener? It’s a key component in every relationship we share—as spouse, parent, sibling or friend. And active listening is just that…listening. Legitimizing someone’s concerns and fears by simply listening, fully and completely, without judgment or counterpoint. I need to work on all of these…as mother, daughter, sister and friend. 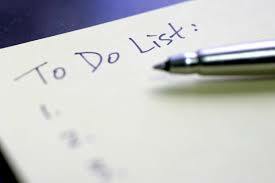 Today’s “to do” list might look the same as yesterday’s, but I will approach it with a fresh set of eyes because who knows what might be added to tomorrow’s…or, for that matter, taken away. As one year transitions into the next, you can’t help but reflect on the joys and sorrows of the last twelve months; challenges faced or feared, goals met or missed, love gained or lost. It is equally inviting to focus on the untold potential of the year ahead and resolve to change or improve, either personally or professionally. Everywhere we turn, we are enticed to contemplate conversion, be it physical, mental, spiritual or financial. Sadly, this annual metamorphosis moment is lost on me. And it’s all Tom Hanks’ fault. Tom Hanks and his stupid, gross, disgusting band-aid. For more than a decade, my New Years’ reflection can be summed up in two words: emotional paralysis. And the finger of blame points directly to Tom Hanks’ pointer finger. One year (I can’t remember which one) on the eve of New Year’s Eve, we went to the movies to see the critically acclaimed Cast Away featuring Tom Hanks, and my life has never been the same in two specific ways: (1) how I approach air travel and (2) how I will forever cross the threshold into January 1. A horrific plane crash takes place very early in the film. It is violently realistic and incorporates my lifelong fear of being trapped underwater with the added depiction of a giant airplane careening out of control from a darkened sky. Up until that moment in time, my mind’s eye had not conjured up a visual of such an event. But now it is there, and it’s never leaving. As a result, (see point 1 above) in planning any voyage by air, my first phone call is now to the pharmacist rather than to Delta. Let’s just say that if Xanax opened a travel agency, it would mean one-stop shopping for this girl. But just prior to this ghastly scene unfolding before our eyes, Tom Hanks saunters into the tiny airplane bathroom. I remember some foreshadowing of things to come—like radar showed bad weather ahead and the co-pilot had lost radio contact—but Tom Hanks felt safe enough to pop into the bathroom to splash a little water on his face. And that’s when he sees it…the band-aid. It’s on his pointer finger. In my memory it’s on his left hand. He slowly and carefully pulls the band-aid off to inspect the tiny little cut on his…BAM! He gets sucked out of the bathroom door, and all hell breaks loose. The band-aid scene is an insignificant part of the movie, but it haunts me. I have watched it only once, but I’ve contemplated it thousands of times. It’s led me to classify specific moments in my life, and moments in the lives of those I love, as band-aid moments… defined by the activity you were engaged in just prior to the split second when your life would never again be the same. I’m six months pregnant, getting ready for bed having just left a bachelorette party when the phone rings. I finish a chapter of The Girl with the Dragon Tattoo when a nervous and somber looking doctor, who appears to be our same age, enters the room. But not all band-aid moments are bad ones. I have huge number of good ones in my life. Enjoying dinner at Joe Muer’s on Gratiot when Pat suddenly stands next to me on bended knee. Standing in the hallway, giggling uncontrollably outside a closed bathroom door for exactly three minutes as the box instructed, and then slowly opening the door together to see…. a plus sign. Every single milestone our children have experienced. My annual emotional paralysis is unavoidable when I reflect on my past and consider my future. 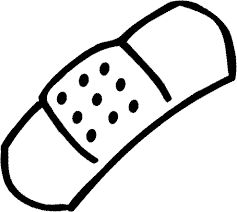 What band-aid moments will define this year? Is this one right now? I have had so much good in my life. And I have had my share of challenges. Each New Year, I contemplate what is to be. And I pray for strength to handle whatever comes next. And it is as simple, and as difficult, as that. In 2015…choose better. Not bitter. My kids can’t leave our house without passing by a plaque that declares my philosophy of life. I wish it were something venerable and principled like a selfless Bible passage or the musing of a Greek philosopher. Instead my philosophy of life was purchased from the Ballard Design catalog. I don’t know what band-aid moments await me. And even though fear renders me emotionally paralyzed today, I am confident in all future band-aid moments –good, bad and indifferent–I will resolve to choose happiness.